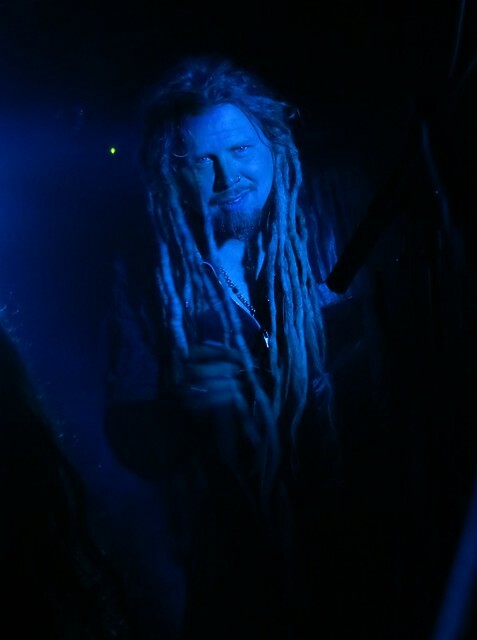 Korpiklaani/Metsatöll, Camden Underworld, 04/02/13 - Into battle we ride, with gods by our side. So yesterday glenatron and I went to see the Korpiklaani/Metsatöll gig in London. It was awesooooomeee. Metsatöll are an Estonian group who I'd heard of, but not really listened or paid much attention to; which was a major fail on my part, because they are superb. 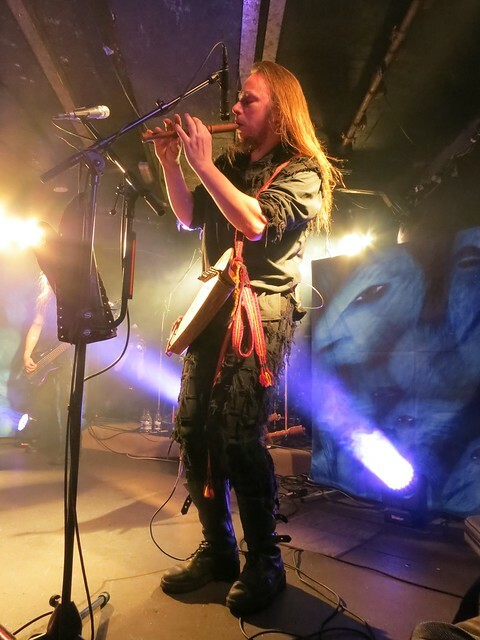 To be honest, I was mostly impressed with the talent of multi-instrumentalist Varulven, who played seven instruments on stage that night (not all at the same time!). A lot of them were traditional Estonian instruments which he taught himself to play. 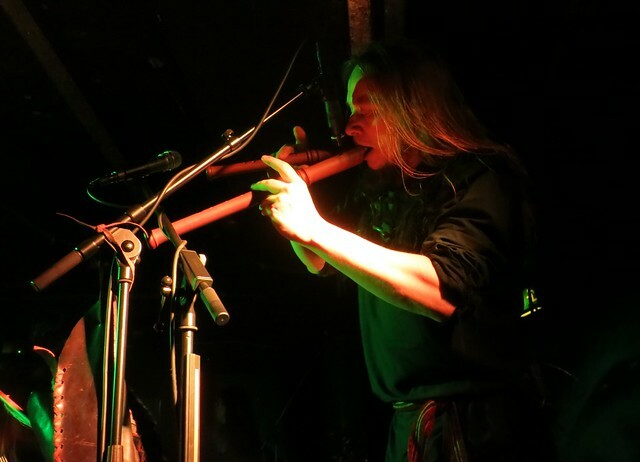 At one point he even played the torupill (Estonian bagpipes) behind his head! Now THAT is metal. Korpiklaani were as infectiously happy as ever. 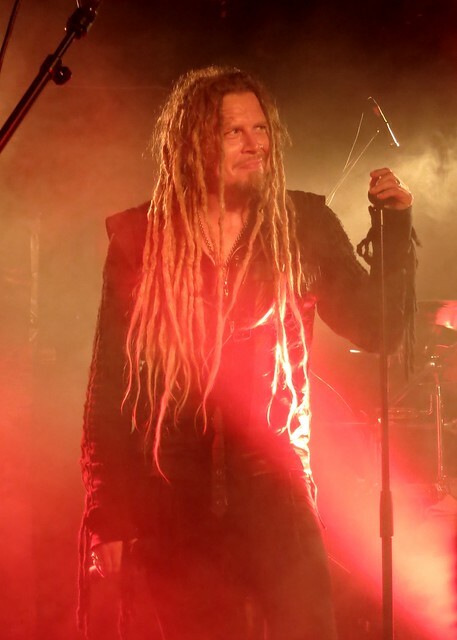 Jonne (vocalist) and Cane (guitarist) just have perpetual smiles - they clearly love what they do, and it's as though they're constantly delighted at how many fans love it, too. I'd tried to get close to the stage so I could take pictures, but we ended up being stuck at the far end wedged against one of the pillars. We could still see, but it was an awkward angle and of course the action took place in the centre of the stage. 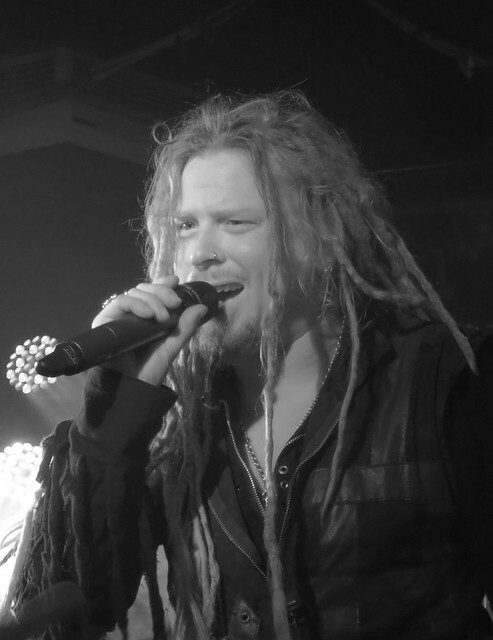 Then Jonne came right over to our little corner: he was singing to the crowd, I was gazing up at him and grinning like an imbecile, and then he leaned forward, looked me right in the eye and delivered the last line straight to me. AND THEN HE WINKED AT ME. Gods. Later, while I was dancing-with-intent-to-cause-violence and had been swept further back from the stage, he came back to the corner and I raised my fist - baring in mind that many other people around me were doing the same - and he saw me, grinned and WINKED AT ME AGAIN. I didn't take many photos because, like I say, the angle was pretty awkward and a few of songs into Korpiklaani's set I gave up and moshed instead. But here are a few that turned out all right. Varulven of Metsatöll. As well as being a talented musician, he also sang and had the deepest voice I have ever heard. Like I say, he played 7 instruments (torupill, three different flutes, three different kinds of medieval harps/dulcimer things ... and actually I think he had a guitar at some point, too? ), but unfortunately only my flute pictures came out! 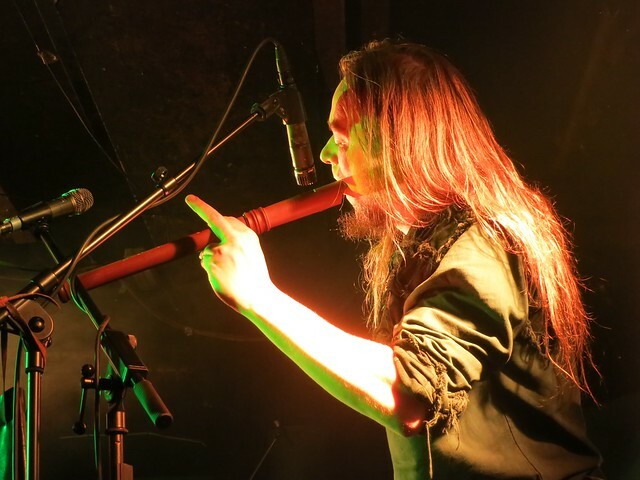 Normally I try and get photos of all band members, but because I was at such a bad angle with a massive pillar in front of me and much taller people to my left, I had to make do with just focusing on whoever was easiest - which was Varulven for Metsatöll and Jonne for Korpiklaani. I wasn't just being a fangirl I swear! ...Unf, oki, now I'm being a fangirl. Something Cane said or did made him give his little quirky half-smile just as I clicked the shutter, haha. Here's a review of the evening from Metalmouth, which does a much better job of showcasing how fantastic that night was. Both of these bands are great, thanks for bringing them up on my radar!